Recent weeks have seen the phrase “Who is Willian José?” searched on google many times. “Jose is my friend but I am at Chelsea now,” amid speculations linking the Brazilian to a potential move to Old Trafford with former Blues manager, Jose Mourinho. But, that is not the only Willian the world of football is privy to. If you happen to be Spanish or a follower of La Liga, the name will ring a bell. Willian José da Silva shares almost the same name as Willian of Chelsea but a little different fate. Where Willian’s world-class performance against Barcelona at Stamford Bridge see him headlining the cover page of most papers across Europe, Willian José was busy impressing Brazil’s national coach, Tite. Brazil’s biggest star and arguably the best player they have in the squad, Neymar Jr. was injured a few weeks ago, and the debate for claiming his spot is mundane. Tite’s Brazil will travel to Germany in a week time as the final selection is due at the end of this month. Tite has called the somewhat less known and speculative stars. Willian José topped the list. So, who actually is Willian José? The 26-year-old is a traditional No 9, and currently plays for Real Sociedad. After an abrupt stint at Santiago Bernabeu, he moved to Las Palmas before joining La Real. The 6 ft 1 in striker has scored 14 goals in his debut season for La Real. The 2017/18 season, his second in blue and white stripes, have seen him become a more solid and integral part of the team. The second term has seen him score 17 goals, and provide 2 assists already, in just 28 appearances. Willian José’s style of play is direct. He is strong in the air and provides a decent threat in the opposition’s box on set pieces. He is a decent passer of a ball and an even better finisher of the ball. His performance in Europa League is worth noticing where he has scored 5 goals in 5 matches; averaging a goal every 90 minutes with 86% passing accuracy. The trip to Germany will most likely see a more defensive lineup, probably with Casemiro and Fernandinho in double pivot midfield to provide more safety at the back. But for Willian José, it’s a huge chance to impress Tite who has 15 of his men fixed but still needs 8 more. 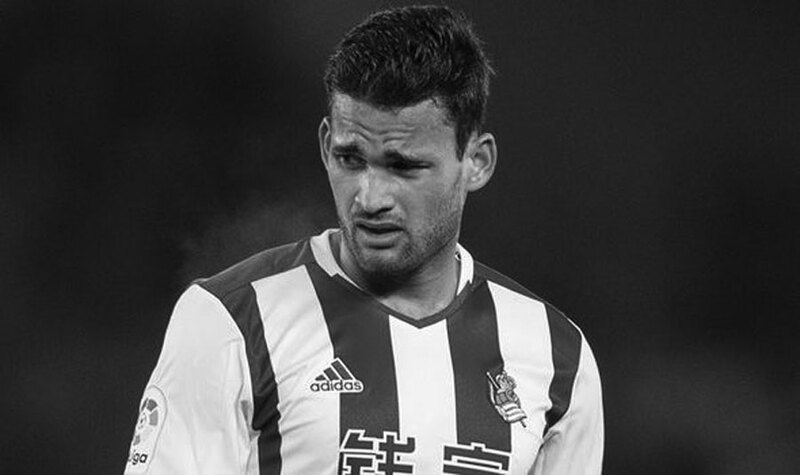 It could be now or never for Willian José. players of lesser quality like Diego Souza, Goulart, etc had a look in on several occasions. I wish he gets enough opportunity and good fortune to announce himself on the big stage.